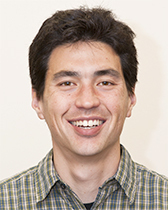 Scott Ogawa's research focuses on the economics of education and the decisions of students and teachers. He has applied the techniques of experimental economics to ask whether students who pay more for their education put forth more effort. More generally, he is interested in the behavioral effects of price on product utilization. He has been a fellow for the Searle Center for Teaching Excellence and has a strong interest in undergraduate economics education.